The first round of Property Hubs took place in Liverpool, Leeds and Nottingham across May 2018, bringing property professionals together to discuss hot topics – including the impact of ‘The Bank of Mum and Dad’. Conversations kicked off at 8am sharp, with attendees in all locations jumping straight into heated debates about how ‘The Bank of Mum and Dad’ is skewing the property market in favour of more privileged First-Time Buyers. While not a new concept, it has become an increasingly common way for First-Time Buyers to get onto the property ladder, as one conveyancer working in Nottingham claimed: “We see gifted deposits more often than not when managing transactions for First-Time Buyers”. From re-mortgaging the family home, to taking a lump sum out of their pension, parents are rising to the challenge of finding funds to support their children onto the property ladder. Even grandparents are getting involved. Property professionals across the country have also noticed financial providers “jumping on the bandwagon”, by developing new products to help make equity release options quick and simple. Yet it quickly became apparent that the situation isn’t fool-proof, as attendees swapped cautionary tales about parents gifting deposits to young couples – only to lose their investment a few years down the line if the couple separates. Yet for many it is worth the risk. Whilst avoiding inheritance tax is certainly a motivation for some parents, the continuing rise in house prices is also prompting many to help their children out sooner rather than later. This is especially true in areas such as Nottingham, where improved transport links are expected to drive house prices up by around 7% per year. ‘Buy to Let’ investors are also compounding the issue, by directly competing with First-Time Buyers for the more affordable flats and 2-bedroom “starter” homes in the area. With property prices in many areas of the country expected to rise over the coming years, along with pressure on the private rental market, it seems unlikely that ‘Buy to Let’ investment opportunities will lose their appeal any time soon. Even a sharp increase in affordable New Builds properties is unlikely to alleviate the pressure, as the next generation of First-Time Buyers come of age with ‘The Bank of Mum and Dad’ in tow. Our Property Hubs are returning to Leeds and Liverpool this July. They will also be making their debut in Northampton, Cardiff, Southampton and Bristol. Join the conversation: Is the Bank of Mum and Dad REALLY crippling the economy? Liverpool, Leeds and Nottingham will be the first cities to host a brand new series of breakfast meetings this May; bringing property professionals together from across the industry to discuss everything from the true impact of the bank of Mum and Dad, to the ongoing challenges posed by increasing house prices. Facilitated by tmgroup, these property hub breakfast meetings will each take place from 7.30am to 9.30am; getting the working day off to a fresh and insightful start discussing local challenges from different points of view. Why attend a property hub breakfast meeting? Knowing what is happening on your doorstep is key to adapting to the challenges facing the property industry – and making sure your firm not only survives, but thrives. By bringing local experts together for regular breakfast meetings, property hubs make it easy for you to not only stay up to date, but also grow your network in your local area – so you are first to take advantage of opportunities as they arise. If you would like to get involved in our property hubs and regularly share your voice with your local property community, please get in touch. Please note, places are limited and are allocated with care to ensure that every conversation is balanced by representatives from across the industry. Will millennials ever own their own homes? 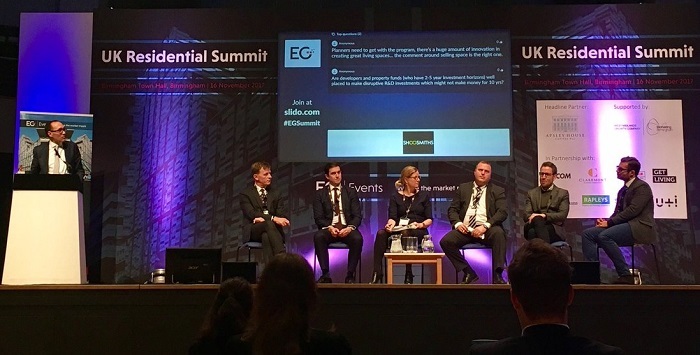 “It’s been a remarkable year in Residential Property, but there is still more to be done.” This was the resounding message at this year’s EG UK Residential Summit in Birmingham, as the panel tackled some of the pertinent issues set to obstruct the forecasted delivery of new build homes into 2018 and beyond. The panels’ vibrant discussions uncovered a sobering fact that only a fifth of the forecasted new homes in 2017 have been delivered – and called for the government to act to release more land, remove cumbersome planning restrictions, support good finance deals for SME builders and fund more social housing projects. There is undoubtedly a need to address other incumbent issues too, such as Stamp Duty Land Tax (SDLT) and the impact of “Help to Buy” schemes, which some panellists expressed had over inflated house prices – adding to the problem, not relieving it. As 2018 takes shape, it will be interesting to see how The Budget announcements will increase activity within the housing market – and how soon the funds will be pushed through to the Local Authorities for building social housing. As the disparity between earnings and house prices becomes increasingly greater, I also asked myself “why are we so obsessed with owning our own homes?” The thought-provoking panel traded ideas on changing this landscape and how we could live in the future (when I retire). For example, making way for Build to Rent (BTR) and Modular Living. We do seem to be on the cusp of a significant sea change for our millennials. Possibly, as this will be the only option available to them. However, experts said this demographic are not as obsessive about owning their own homes. So, does the future look set for co-living? State of the art buildings with on-site concierge services, cinema rooms, spas and gymnasiums all in one building? Owning your own home may be less of a priority for millennials and long-term renting doesn’t seem such a bad trade-off… when you have all those luxuries on your doorstep. 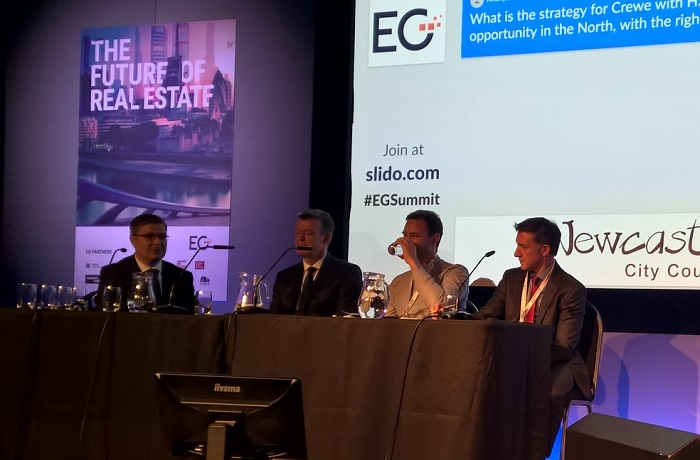 All in all, this year’s EG UK Residential Summit in Birmingham has encouraged conveyancers to look to the future of the residential property market with open minds. As an industry, I anticipate that we will be striding forwards in solving the key issues in the market and be well on our way to greater house building numbers in 2018, whether that be through Build to Rent (BTR), social housing or private homes. 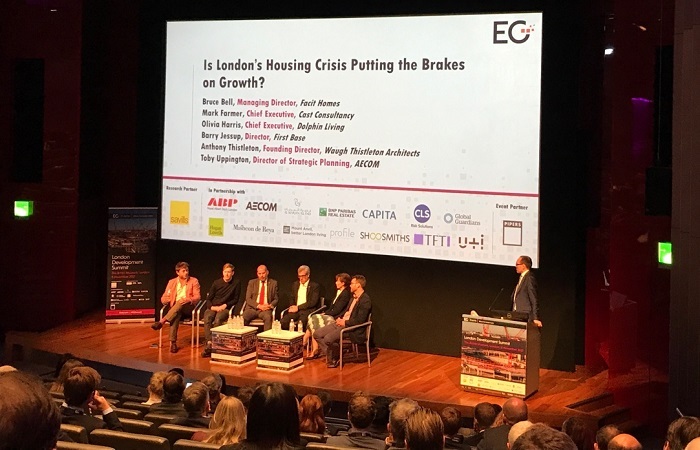 With keynote speakers and panel members from LandSec, Savills, British Land and Shoosmiths, to name but a few, this year’s EG London Development Summit was a day rich in varied opinions and predictions in relation to the future landscape of London’s residential and commercial property market. This variety of opinion was abundantly clear when guest speakers looked ahead to the May 2018 local elections and the unknown future effects of Brexit. But all variety aside, one central topic was the striking recent growth in London’s residential market, and the question mark over how long it can continue for. Katy Warrick, Head of London Residential Development Research at Savills, highlighted that in the last 10 years, London’s house prices have grown a staggering 70%. When combined with the average London house deposit of £99K, against an average London wage of £35K, it’s no surprise that first time buyers are finding it increasingly difficult to get their foot on the all-important property ladder. The national statistics speak for themselves. Across the UK, there are 28% more first time buyers than 3 years ago. Comparatively, however, there are 13% less first time buyers in London in this same time period. The reality is that the disparity between earnings and house prices in London continues to grow. 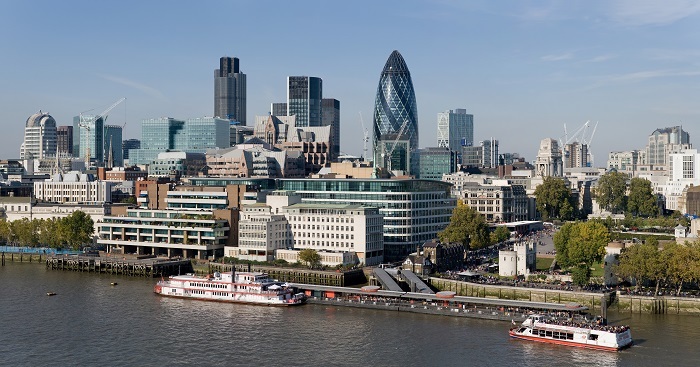 Deloitte recently had to buy properties in order to provide homes for some of their London staff, as residential property in the Capital was just too expensive. But how long can this affordability chasm continue to grow for? What struck me was that even professional forecasters, such as Noble Francis, Economic Director at Constructive Products Association, feel that due to the huge amount of variables, they are not able to predict beyond 2019. “The property industry is constantly changing and it can be hard to keep track of what is going on – but have you ever wondered when being ‘too busy’ could become detrimental to your business? Is it when we cannot deliver on our own service promises? Is it when we fail to respond to emails on the same day? Is it when we are ‘too busy’ to look for possible solutions to our problems? So, here is the question. If I offered you 30 minutes of extra time every working day – what would you do with it? • Would you ask your team how they are and what is going on? • Would you spend just a minute or two more with each customer? • Would you start conversations about solutions to being ‘too busy’? Clare Yates will be part of our guest speaker line-up at our Risky Business Roadshow events this November, which will explore how firms can better protect, prepare and promote their businesses. “Fraud methods vary and evolve continually, so practitioners should diligently look out for anything unusual or suspicious which may point to possible title fraud. Michelle Garlick will be part of our guest speaker line-up at our Risky Business Roadshow events this November, which will explore how firms can better protect, prepare and promote their businesses.